I have finished Block three. As soon as I restock some threads I look forward to starting on block 4. Finish and wrap my items for this swap. They are due to be mailed next week. Gorgeous Christmas blocks!! Wish I had started this .... it's never too late!!! LOVE the block.. such pretty colours in it! 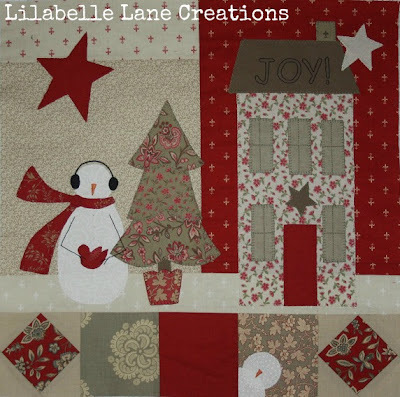 Your Merry Merry Snowmen block looks great! Your snowmen are so cute !!! My fingers ache to start mine !! You know that you were the one that inspired me to get this BOM...and I haven't even started block one!!!!!!!! !